October Of Books Giveaway Hop – Escape Reality, Read Fiction! 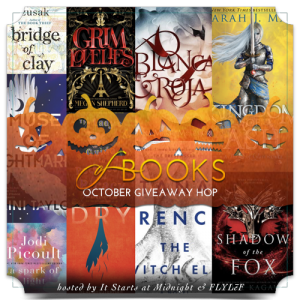 Welcome to the October Of Books Giveaway Hop, hosted by It Starts at Midnight and Flylef! Of Books is the successor to the Monthly Book of Choice Giveaway Hop. The theme is the same, just with more hosts and more participating hops! 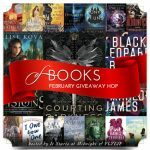 I’ve taken to calling it the [Insert Month Here] Of Books Giveaway Hop because everytime I saw it as just “Of Books” my brain kept reading it the same way as the names in The Handmaid’s Tale – and that just got too weird. And scary. But admittedly a bookish reference. The question, as always, is the following: In the upcoming month of books, which one (or ones) are you looking forward to the most! October is looking like the last really big month of the year for me. There are LOTS, TONS, OODLES of books coming out in October – then it all calms down until January. Not that there aren’t some cool-looking books coming out in November and December – just not nearly so many. Also it looks like blog hop season has begun. This one today, one tomorrow, and then one more before the end of the month. Back to the books. There are a whole bunch of things I’m looking forward to this month. Admittedly, one I’ve already read (Astounding by Alec Nevala-Lee) and one I’m reading now (Six Cats a Slayin’ by Miranda James) But also The Bartered Brides by Mercedes Lackey, The Arrows of the Heart by Jeffe Kennedy and most especially Embrace the Romance: Pets in Space 3 by all my favorite (and hopefully a few to be discovered favorite) science fiction romance authors. For more terrific bookish prizes be sure to visit the other stops on the hop! “What book are you most looking forward to this month?” “Shadow Of the Fox,” maybe! I am looking forward to book 2 in the Cruel Prince Series. But, I am not sure when it comes out. Can’t wait for Kingdom of Ash! 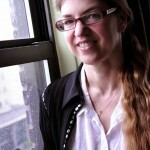 I am most looking forward to Under My Skin by Lisa Unger. This month, I’m excited about What If It’s Us. A Very Large Expanse of Sea by Mafi. I am looking forward to enjoying The Sapphire Widow. To Catch a Rogue by Bec McMaster. I am looking forward to all the Halloween stories that are coming out and also the cooler weather!!!!!! The Arrows of the Heart by Jeffe Kennedy looks good. I’m excited most about A Spark of Light by Jodi Picoult! Predators by Michaelbrent Collings is on my can’t wait list. I’m looking forward to Dangerous Crossing by Rachel Rhys. I’m most looking forward to Shadow of the Fox. I’m waiting for Pets in Space but, other than that, I have very few preorders for October. I’m excited for A Spark of Light by Jodi Picoult. Muse Of Nightmares by Laini Taylor! She is an absolute genius! The book I’m most looking forward to obtaining & reading is the Witch Elm by Tana French. I’m looking forward to reading Ship Of Fools and I’m waiting for Cynthia Eden’s early Nov release of Don’t Love A Liar. I’m most excited for When We Caught Fire by Anna Godbersen. I am most excited for Grim Lovelies. Grim lovelies! Thank ya much! Hard to pick, but Muse of Nightmares! Kingdom of Ash! Most definitely!! I NEEEED this book! I’m looking forward to all the fall festivals! A very large expanse of sea by Tahereh Mafi and Blanca & Roja by Anna-Marie McLemore! It’s a toss-up between Shades of Wicked by Jeaniene Frost and Archangel’s Prophecy by Nalini Singh. I’m looking forward to that new Jodi Picoult. Definitely looking forward to Kingdom of Ash by Sarah J Maas. I’m looking forward to all of the books in the Cards of Love collection and the Hallowee. Honeys collection! I’m looking forward to reading “Martin Lister and his Remarkable Daughters: The Art of Science in the Seventeenth Century” by Anna Marie Roos. I can’t wait to read Donna Andrews’ Lark! The Herald Angels Sing. Looking forward to Grim Lovelies or Under my skin. Kill the Queen by Jennifer Estep and the Pets in Space anthology are the two at the top of my list this month. Archangel’s Prophecy by Nalini Singh. The Guild Hunter series is one of my favourites. Kingdom of Ash!!! I’m so excited and terrified to read it!!!!! Blanca & Roja by Anna-Marie McLemore . The cover is beautiful! So sorry for the mess! 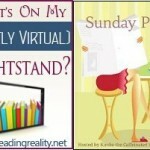 Pingback: The Sunday Post AKA What’s on my (Mostly Virtual) Nightstand 10-21-18 – Escape Reality, Read Fiction! I am looking forward to read Kingdom of Ash and Very Large Expanse of Sea. I am looking forward to Shadow of The Fox by Julie Kagawa. Thanks for the chance! I am looking forward to reading A Very Large Expanse of Sea. I am most looking forward to Education, A Memoir this month. Thanks for the giveaway! I am looking forward to Dark Sacred Night by Michael Connelly. I looking forward to reading a horror novel! I am looking forward to reading If You Only Knew: My Unlikely, Unavoidable Story of Becoming Free. I’m looking forward to A Spark of Light by Jodi Picoult. I am most looking forward to A Spark of Light by Jodi Picoult, but more then that I am hoping to find something that really jumps out at me, perhaps from a new author. The Arrows Of The Heart by Jeffe Kennedy. I’m most looking forward to reading “A Great Reckoning” by Louise Penny. Muse of Nightmares sounds good! I’m excited about Marilla of Green Gables! Tarissa recently posted..Get ready! A Literary Christmas is approaching! I cant wait for Halloween! I don’t have a new book I’m looking forward to. I am looking forward to being inspired. I cant wait to read the book Muse of Nightmares. I can’t wait to pick up The Lady’s Guide To Petticoats And Piracy. I’m most excited for Hate Notes by Penelope Ward and Vi Keeland. I plan on purchasing more books by Brandon Barr. My mind has gone into overload and I can’t decide! I’m most looking forward to A Spark of Light by Jodi Picoult. I am most looking forward to Shadow of the Fox by Julie Kagawa. I am looking forward to shadow of the fox. I would love to read A Spark of Light by Jodi Piccoult. I’m always looking forward to reading cozy mysteries. 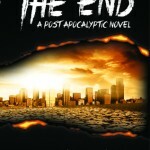 I want to read Her Final Word by Willow Rose. I’m looking forward to Whose Boat is This Boat? I am reading 1984 by George Orwell for this season of reading. Shadow of the Fox looks intriguing.